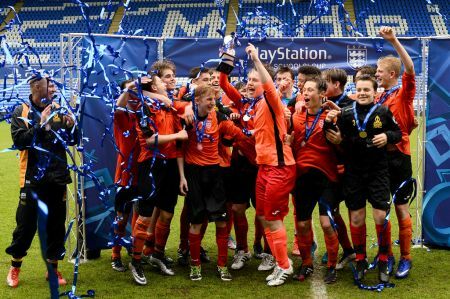 ESFA National Cup Competitions 2016/2017 – Entry Now Open! The English Schools’ FA National Competitions Department are delighted to announce than entry for our 2016/17 National Cup Competitions is now open! Please find below all the information you will need for the upcoming season’s competitions, sponsors and entry information! The ESFA offer National Cup competitions for all secondary schools and further education colleges in England, so don't let your pupils miss out on the fantastic experience of entering English Schools’ FA Cup competitions for 2016-2017! The competitions we run are some of the world’s largest football competitions and over 7,000 secondary school and college football teams competed last season! We firmly believe that ESFA gives pupils an educational experience of competing against schools outside of local District and County Cup competitions. The draw is structured so that the early round matches are drawn regionally to save on travel costs, however we also offer flexibility for you to choose to play out of county fixtures, wherever possible, right from the start of the season if you so wish! Last season our fantastic 15 PlayStation Schools’ Cup finals, from the Under 12 to Under 15 age group were played at Reading Football Club, over three consecutive days in May. The event included personal appearances by Danny Rose, Jason Puncheon, Alex Iwobi, Steph Houghton and commentary from John Scales and Clive Tyldesley. The PlayStation Schools' Cup is a fantastic partnership between PlayStation and the ESFA and provides opportunities for schools and pupils throughout the season to get involved with events and competitions highlighting the importance and the fun of Schools' Football! To see full matches and highlights you can visit our YouTube channel. Our 4 x Under 16 Premier League Schools’ Cup Finals were played at Manchester City’s Academy Stadium, whilst other finals were hosted at Premier League Champions’ Leicester City FC, Nottingham Forest, Doncaster Rovers and Birmingham City FC amongst others. Most matches were broadcast live online with full commentary via 247.tv and 353 Photography were in attendance at all finals, so each moment was captured for our players and schools to keep. This season we are launching a new partnership with Hudl, who are now sponsoring our five U18 competitions. Hudl are proud to partner with the English Schools’ Football Association for the 2016-2017 season. While the focus of this partnership is the rebranding of the U18 girls', boys' and Elite competition to the Hudl Cup, they aim to help teams in every age group improve with their affordable, easy-to-use video platform - Analysis isn’t just for the pro’s! Find out how Hudl can help you win next season by emailing Matt Cook and visiting their website. 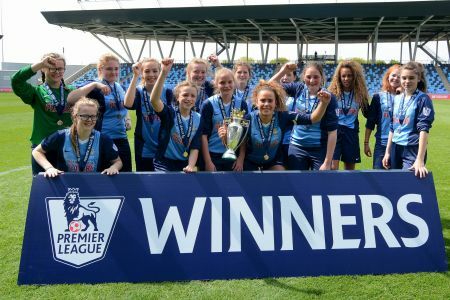 A new Under 18 ‘Elite’ Cup has been created that is specifically designed to cater for schools and colleges that offer a football academy programme at sixth form level. Students that have enrolled at the school or college as part of a football academy programme are ineligible to participate in Under 18 Schools’ Cup or Under 18 Colleges’ Cup. If you are registered as a contact for your school or college on our database, you will have received an email directly with your login details. Once you have followed the instructions on screen, you will be able to select the competitions you would like to enter for this season. Please find below a description of the competitions available – this explains the eligibility for each competition, please ensure you fully understand the parameters for entry as we do have to remove teams if they are found to be ineligible. This is open to all schools and there is no restriction on the number of academy / centre of excellence players that can be fielded in a fixture. Schools can enter both the Schools’ Cup and Open Schools’ Cup as long as they abide by the rules of the respective competitions. To be eligible to enter the Small Schools’ Cup the school must have fewer than 65 boys on roll in the specified age group. The U12 9-a-side Small Schools’ Cup (Year 7 only) will be run after Christmas. The entry forms for this competition will be circulated in November. The Under 12 Girls’ 9-a-side Schools’ Cup (Year 6 & 7 only) will be run after Christmas. The entry forms for this competition will be circulated in November. The ESFA will offer regional leagues to schools and colleges across England. It is expected that each league will host 8-10 teams, with each team playing each other once within the league. Schools that currently enter local leagues run by the County Schools’ FA will be expected to fulfil their commitments in the local league. It is not the ESFA’s intention to compete directly with the County Schools’ FA as this competition is designed for those schools that do not currently have a local league to play in. Schools wishing to enter leagues organised by external providers, must seek sanction from the ESFA before entering. All match reports and photos from the 2015/16 National Finals can be found on the News page of our website so you can see the experiences laid on for teams this past season, we hope that the possibility of reaching a National Final is a fantastic motivation for schools and players alike! The English Schools’ FA are constantly seeking to improve existing and create new partnerships so stay up to date with our plans via our Website and Twitter Account!